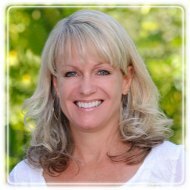 Danville Therapist: Sara Denman - Therapist 94526. Send A Message To Dr. Denman. It can be overwhelming to begin therapy, having to open up to a stranger about personal challenges. I make every effort to help clients feels safe and comfortable. Once a client feels safe, he/she is able to work through the challenges that prevent him/her from reaching their potential. Each individual is unique and as a result, therapy needs to be adjusted to meet the needs of the person seeking treatment. Therapy with me is an active and collaborative process that can be adjusted and updated to continue to meet the needs of the individual. I want my clients to feel they have a partner throughout the coarse of treatment and I make every effort to exceed the expectations of my clients. I have been in practice for over a decade and I have advanced training in a number of different areas. There are no issues too big or too small to bring into the safe therapy environment. Some of my areas of expertise include surviving after divorce, life changes, trauma, anxiety, depression, addictions, self-esteem, and eating issues.